My sister Amy gave me some really good advice a few years ago. She has battled ovarian cancer, (And won! All praise to Jesus!) all the while going to countless doctor appointments and hospital visits. When we began discovering that our visits with Rebekah to the doctors were ramping up and endless questions were swirling around in our conversations, my sister’s advice to me was to write everything down. Carry a notebook at all times and write everything down. I have had a small notebook that will fit in my bag with me every day since. Each year, I’ll get a new one and begin fresh for the year. I have lots of handy things in there like doctor’s numbers and medication information. My friend Kelly gave me this super cute notebook for valentines day. She knows my obsession with office supplies and feeds it! It even came with a super cute chunky pen. 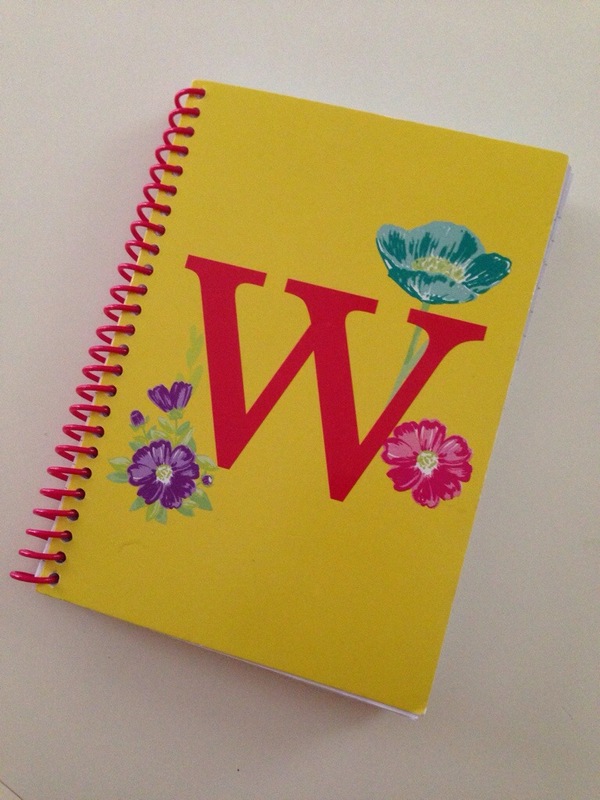 I decided that this notebook would be my paper brain for Bekah’s osteotomy and recovery time. I began loading it up. I included everything I knew the nurses would be asking me for and survival items for myself. 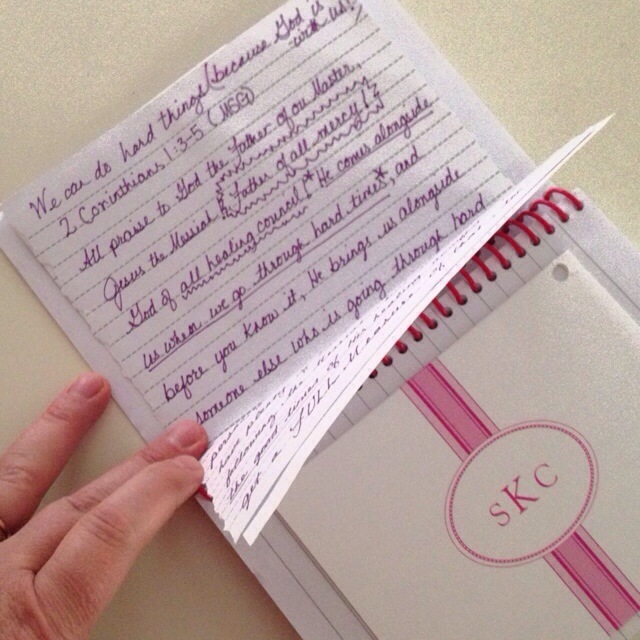 notes and verses given to me by my girlfriends. I knew I would need these when my spirits were low. I asked a select few to write out their favorites for me. One of my friends was even kind enough to give me 3×5 cards that she has used on days when she needed extra reminders of God’s care an provision. I taped a zippered baggie in the notebook so that I could carry these with me without permanently fixing the cards to the notebook. 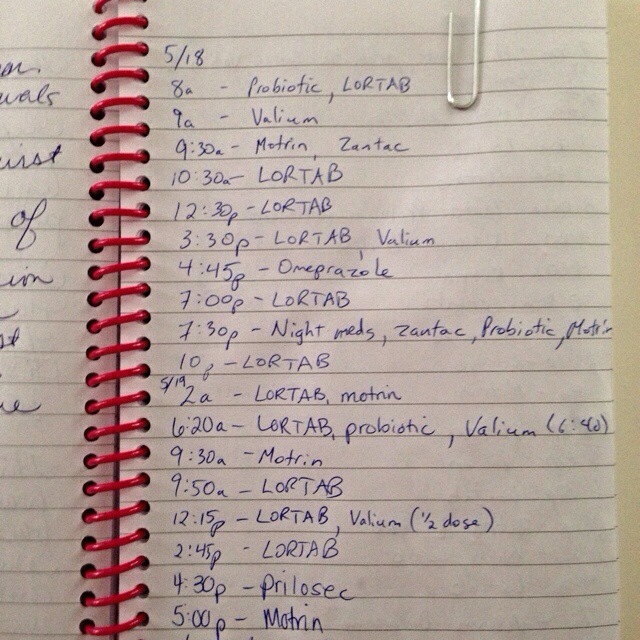 Once we were in the hospital we began filling it with information we knew we’d need to keep track of. 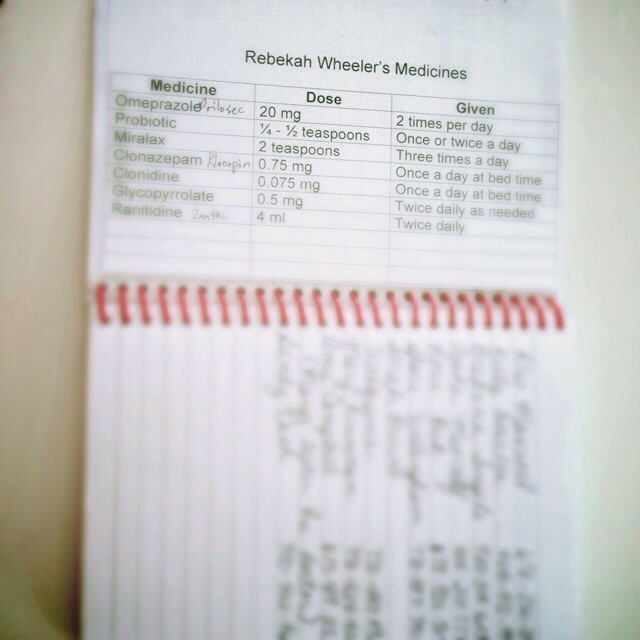 new medication to keep track of (seriously, how can a 33 pound five year old be on so much medication?! Questions and observations for the doctors. Do you know that the doctors round for their patients at 7am or earlier? There’s no way to remember all the questions you want to ask the doctor when you’ve been up trying to comfort your crying baby through the night. Then when you do get her to sleep, nurses and techs come in multiple times all through the night checking vitals and giving meds. Write your questions and observations down! Observations are important. You know your child and the nurses are only getting a very brief snapshot of your life. Speak up and advocate about changes, good and bad, that you are noticing. I took some space to actually journal how I was feeling. Putting my feelings down sometimes helps me understand them better. Also, you can get these thoughts and feelings out and not have to carry them while you are caring for someone else. It’s good for me to look back through these books from the past few years. I can see the hand of the Lord moving for our family. I see growth in myself and my husband. I see deeper understanding of my daughters. I see how big my God is becoming in my life. I see Rebekah’s ministry developing before my very eyes. While this journey is very hard and nearly impossible to describe to someone else, it is a privilege to walk this road with Rebekah. We get to see, upclose, the change she is making in people’s lives, though she is still very small. I hope this helps as you plan for a leg of your journey. 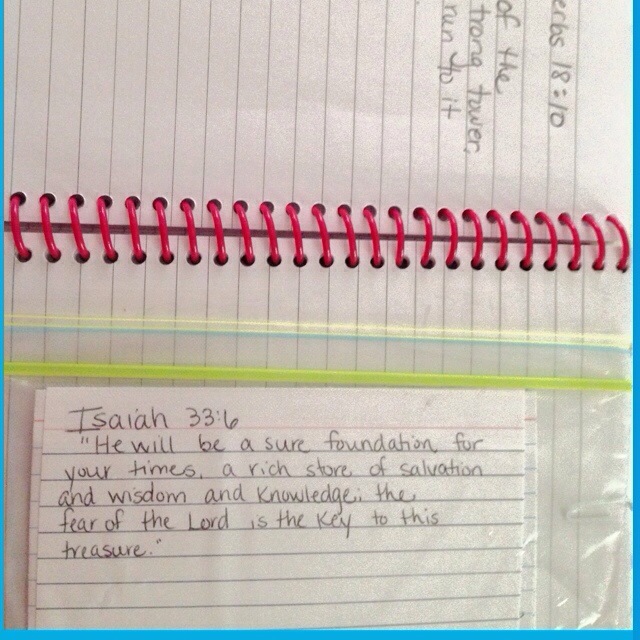 In what other ways do you keep yourself organized and on task in high stress times? This entry was posted in Rebekah's Updates and tagged cast, double osteotomy, hip, hip dislocation, hip surgery, hips, hospital, osteotomy, pediatric surgery, recovery, spica cast, surgery recovery. Bookmark the permalink.